Dickies’ Vintage Stamp Cropped T-Shirt is perfect for a casual day. Made with long sleeves and rib cuffs to keep you warm, the crop top makes a statement. 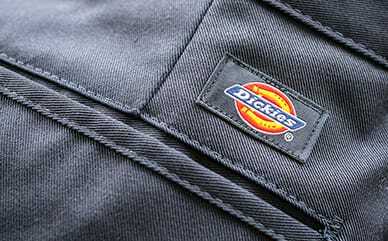 A chest stripe leads to the Dickies Icon Logo on the front, while the back features a stamp—showing some love for one of your favorite brands.